Treating our guests is a passion that I have enjoyed for several years. 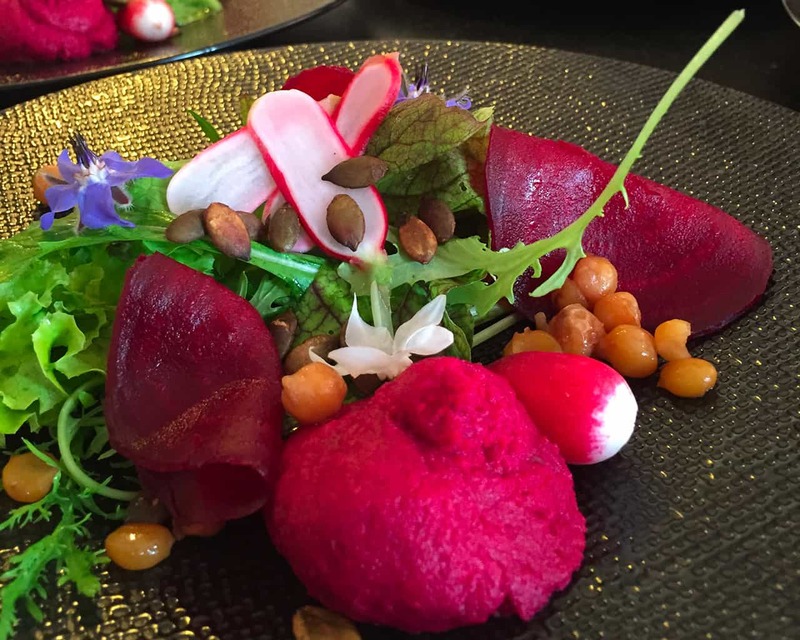 According to the season and my desires, I create the menu of the Table d’hôtes, taking into account the tastes and wishes of my guests: vegetarian, gluten free, no meat or fish, everything is possible here! I like challenges, they galvanize me and push me to create new combinations. Shapes, forms and freshness – the plates must be as beautiful as they are tasty! Saturday is a special day at Metafort. While Philippe is in charge of breakfast, I finalise my shopping list and go visit the market in Pernes Les Fontaines or in Mazan depending on my mood that day. The afternoon is used for peeling, destemming, cooking a sauce, salting a fish and baking a dessert. 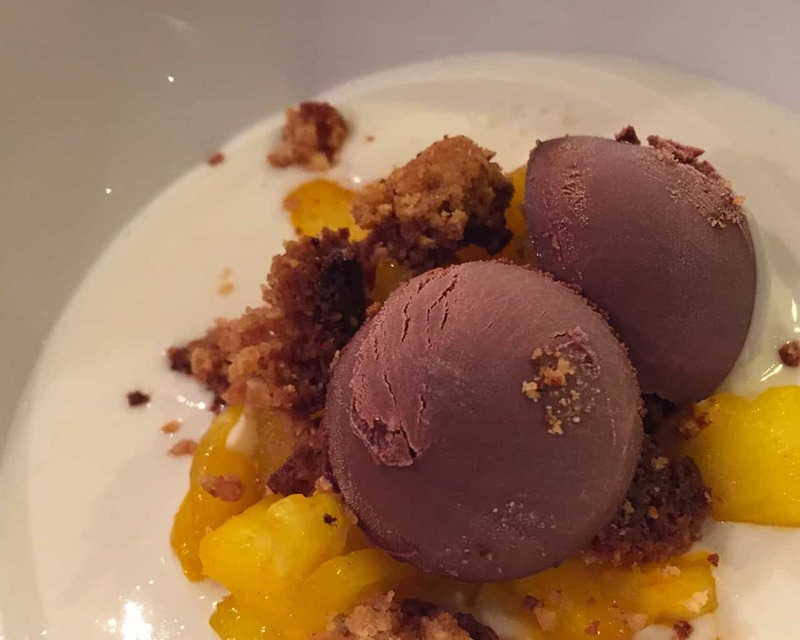 At our home, everything is homemade: from ice cream to sauce base, from chutneys to ganache. It’s all fresh from the day and prepared in good spirit with a background of upbeat music. The sun is slowly setting; I am tired but happy and delighted to welcome our guests. 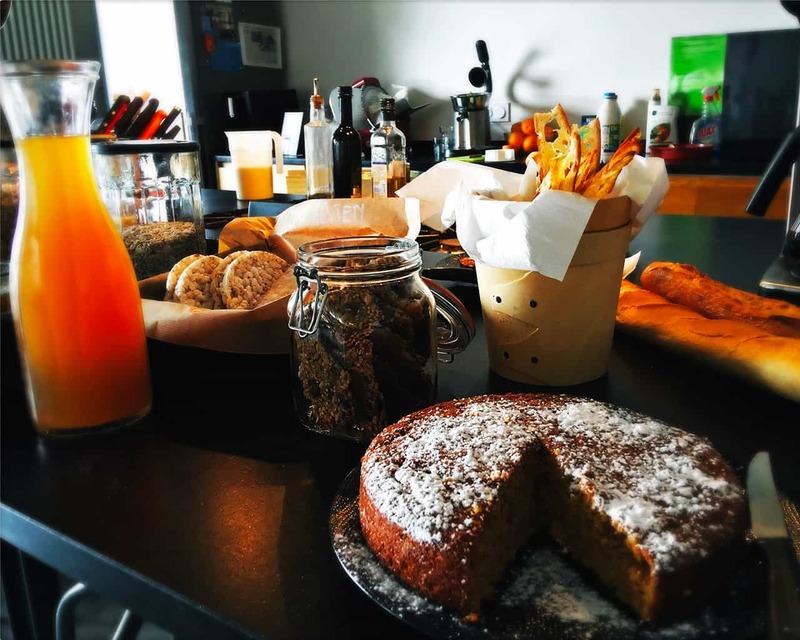 At Metafort, the breakfast is a special time where we happily share with you our tips and secret places whether it’s booking a table for a romantic dinner, renting bikes to ascend Le Mont Ventoux or renting a kayak at La Fontaine de Vaucluse. A large buffet is spread every morning from 9am to 11am. You can choose between English or continental breakfast food. Mostly organic, fresh local products, an assortment of homemade cooke-in-the-cauldron jams, fresh fruits, gluten free homemade crackers, and eggs in all their forms. Enjoy the morning sun and take your breakfast near the pool or at a small table by the canyon. 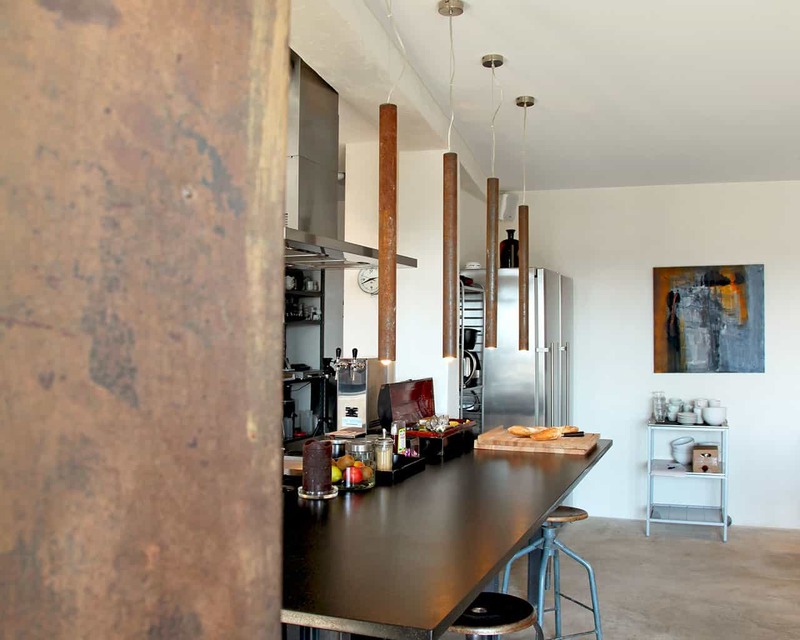 At Metafort, our kitchen is a place for sharing, so it also is your kitchen during your stay! We will gladly recommend good restaurants nearby. But you’re also welcome to ‘chill’ at the Bed & Breakfast and make the most of the spectacular surrounding. Visit the local markets, purchase fresh local products that have grown up in the Provencal sun and enjoy cooking in our kitchen with joy and good spirit.